Are you a business owner who is looking forward to purchase some security cameras for his office? Are you in search of some reliable solutions for your company that can provide you with an insight into the world of employees? Is it the security check that you need to put on your office to know what is happening there when everyone else is gone? If so, then here we are to tell you what you need exactly and how to make the best out of it. The Wi-Fi mini spy cameras are the solution to all your problems and it will sure get you out of the trouble that you are facing for now. Therefore it is very important to learn more about these cameras and understand why they are the best solution for you. Here we will be providing you with the information about the security cameras, their various types and the review of one of the best cameras available in the market. When you will set off to purchase some good camera, you are going to get amazed by seeing the amount of variety in these cameras and the way they are benefiting the users. There are several types of these cameras and each one has different specs and features. The cost of each camera depends upon the features that it is offering, a simple camera with a simple video recording option would of course be less costly compared to the one that has other features such as night vision and motion detection. Let us have a look at the different types of the security cameras and the Wi-Fi mini spy cameras available in the market and learn how to get the best out of them. These are the most popular kind of cameras in the market today as they are the simplest to install and easiest to get started with. These cameras does not require any cables to be attached to them rather they operate on batteries and they are not doubt the most flexible and portable kind of the cameras. Although some versions of these cameras might require you to put some screws in the wall but other than that they do not require any installation procedure. All you have to do is to configure these cameras with the internet connection of your area and get started with them. Also, these cameras can be single camera systems or multiple ones but most of the times they are liked for being single stand-alone units that could be used for the security and surveillance purposes. Since these are single units, these cameras are less expensive than the other ones in the market and are thus used for the security at large scale. Although these cameras operate wirelessly with the internet network, that is these are also the Wi-Fi mini spy cameras, but instead of using the batteries to operate, these cameras require the AC power to help them run. Therefore these cameras are rightly said to be the hybrid cameras as they can operate wirelessly with the network but need AC power to get them powered. Since these cameras do not require you to change the battery every now and then, therefore these models need not to be accessed very often. They keep working silently and you do not have to worry about anything regarding these cameras. However, there is one drawback in this type of cameras and that is the non-portability. You have to mount them to one place for good and you are going to need a separate power plug for each of the units if you are using multiple of them. 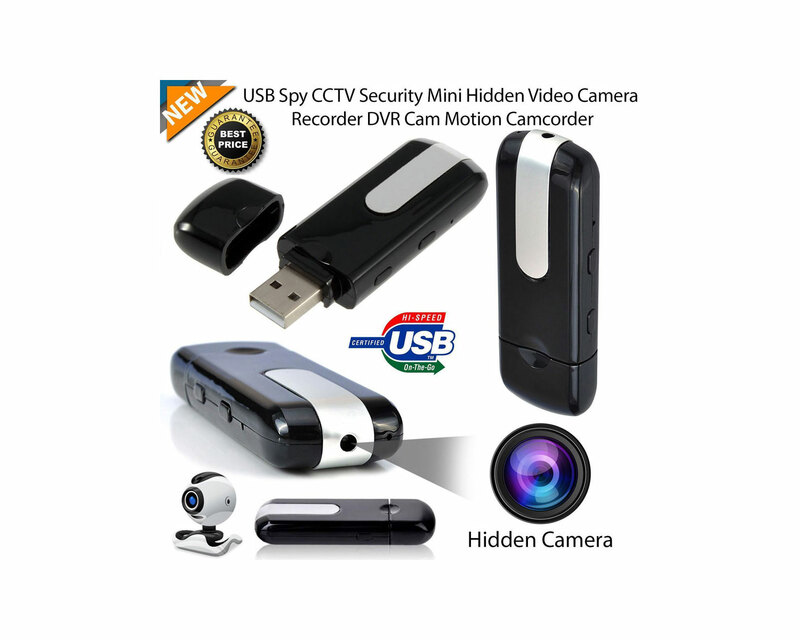 This is the third type of the Wi-Fi mini spy cameras, and these cameras are by far the most reliable type of the cameras available in the market. These cameras make use of the cables for both the power supply and the internet connection. Since the cables are much more reliable compared to the wireless transmission, therefore there is no distortion noticed in the signals and cameras prove to be trust worthy. Of course this causes several connection to be made along with the wires, you might need to drill the walls as well. Such cameras prove great for the places where there is huge signal interference and the chances for the distortion of the signal are strong. These are the three major types of the cameras that are being used widely across the world and any of them can be found easily from the local security stores. The choice of the camera depends upon the needs of the place where it has to be placed and also upon certain other factors that we cannot discuss here but you can find them in some other post on our page. Now that we have seen the three types of the cameras that are used all the time for enhancing and increasing the security, here we are to tell you about the review of one of the best surveillance camera that you can use from the Wi-Fi mini spy cameras. Why the Wi-Fi mini spy cameras? Now you must be wondering why you need to have these mini cameras in first place. The answer is simple, that the camera is used for the purpose of spying. The mini cameras are useful in the manner that they can be hidden easily behind any of the objects or they could be disguised in some random everyday object as well. These mini cameras find a lot of applications in the homes, offices and other places so you need not to worry about placing them. These cameras work as the best nanny cameras as well so you can hide them in some object and keep a check on activity of the nanny and the kids that she is taking care of. You can also use these cameras to check the pets you have left at home. These Wi-Fi mini spy cameras have the versions that have the ability to through the food treats to the pets as well. Now let us have a look at one of the best of these cameras and learn how we can get the best out of them. 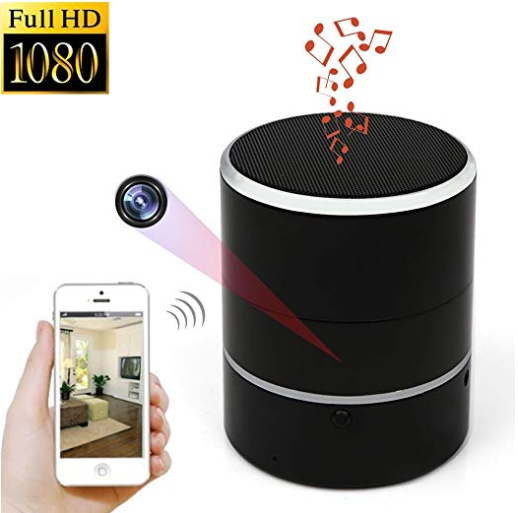 This camera is a disguised camera as it is hidden inside a speaker that gives music and other audios as output and keeps working as a spy camera as well. If you are using it for the purpose of nanny camera, your nanny will never guess that the little speaker that is playing tunes for your little ones is also recording her to catch her in the act if she is up to something. The camera can work together with the Bluetooth speaker that makes it a dual purpose gadget, so you can get its services as a spy camera as well as speaker all at the same time. It is an amazing gadget to take to parties and meetings as no one would ever suspect it. The camera is also capable of recording the real time video even without the presence of the SD card. All it has to do is to keep recording the video and send it to your phone live, so you need not to have an SD card installed in it. The camera is also capable of detecting the motion, as it equipped with a motion detector so as soon as there is some motion, the camera starts recording it and at the same time it sends a message alert to your phone to notify you about this motion right in time. The camera configuration allows you to set it all in such a way that the camera starts recording as soon as there is some motion detected. The SD card of the camera is configurable so you can set it to record the video as soon as it senses some kind of motion. Also the camera is equipped with the loop recording option in which the camera starts recording the new videos on the oldest videos in the SD card so that the recording process never stops and you always have something to look forward to in the camera. The camera typically runs on the batteries that it has got installed in it but the batteries start to wear off if the camera and the speaker both are running simultaneously. However, if there you have to use it more, you can make use of the cable to connect it to AC power to never get short on power. To conclude we would like to recommend you that if you do not want to spend a lot on the camera, but still you want to have a good one for spying, then this camera is the best option for you.